We do love a martini, but when we started researching them for our November martini features, we found that there really is no ‘perfect’ way to create or serve them, it’s experimental and completely a matter of personal taste. So, we came up with the idea of finding out what the experts think. We decided to speak to the teams at Scottish bars that have their own gin stills to pick their brains on what makes a ‘perfect’ martini. There is no “perfect” martini as there are different variations which are all good depending on personal tastes. What does make a better martini however, is a focus on detail and perfection. Keep glasses completely chilled, keep gin in the freezer and work out exactly how much dilution a particular gin needs to create a well balanced drink. Playing around with different vermouths and gins creates completely different results, but keeping that result consistent requires extreme attention to detail. – garnished with a lemon twist. Orchid is one of Scotland’s, and the UK’s top cocktail bars winning SLTN bar of the year in 2012, 2017 and 2018. 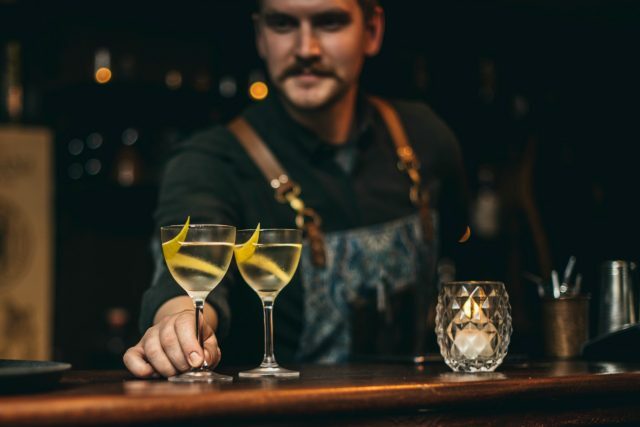 Since 2009 the bar has been pushing the boundaries with the aim of making better drinks. While working in Orchid, Porter’s Gin co-founder (and UK bartender of the year 2018) Alex Lawrence started distilling in the bar using a rotary evaporator – a modern still that can distil at low temperatures. The bar now has 4 rotary evaporators (modern distillation equipment) in its basement micro-distillery. The distillers focus on extracting fresh, natural flavours using their innovative “cold-distillation” technique. This makes Porter’s taste particularly light, natural and fresh.